TEL NOF AIR BASE, Israel ― In a country steeped in political controversy and surrounded by strategic threats, military planners in Israel are looking to 3-D printing to bolster wartime self-sufficiency in the event of embargoes or supply chain disruptions. But once they master initial printing of flight-worthy parts, depot professionals say they’ll be on their way to an in-house ability to shorten supply chains and bridge strategic gaps that may confound them in times of war. Orgad said Depot 22 has spent nearly three years improving its ability to use 3-D scanners to support the designing and conventional manufacturing of spare parts. What used to take several weeks or months now takes a matter of hours or a few days, he said. 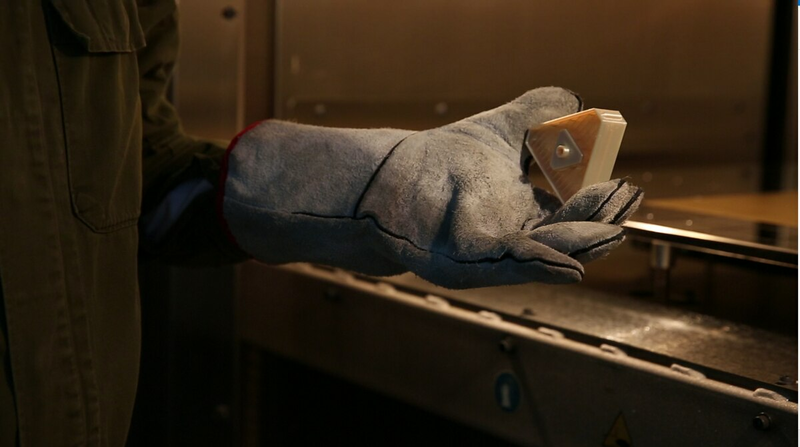 “Before, we had to make a mold of the part, but now we’re using a 3-D scanner, which we can take anywhere and use to scan different parts of the aircraft. The scanner makes the 3-D model, which we then take to our manufacturing center where we manufacturer through traditional methods,” the officer said. Over the past year, Depot 22 professionals have been flying 3-D-designed plastic parts on Heron and Hermes UAVs to analyze reliability and flight worthiness. The depot is also experimenting with small, noncritical parts associated with the CH-53, F-16 and F-15 aircraft, officers said. Orgad said the depot’s focus is primarily on UAVs, where it is evaluating future operational needs and determining how they can be met by way of 3-D printing. To that end, Depot 22 is working with the Defense Ministry’s Defense Research and Development Directorate and industry to keep abreast of new technological and procedural developments.